macOS Sierra is finally here. Having worked with this OS for the last few months in its Beta versions, I must admit that it has been a fun experience. macOS Sierra has been very stable in its final beta versions. New features such as the Siri are working well and appear to be well integrated with the rest of the OS. 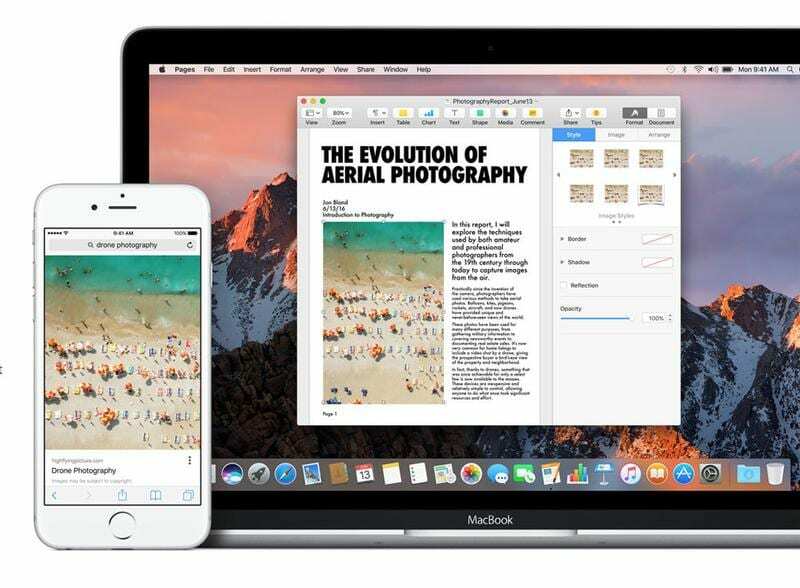 If you are new to macOS Sierra, we suggest that you read our review of some of the key features and our key takeaways from exploring the beta versions. Unlike El Capitan that caused some major headaches during initial installs with MacBooks, this new OS has been a breeze to install and has not caused any dramatic performance problems so far. With any new mac OS install, there are always little hiccups at the onset. Most of these problems are primarily related to existing third party software on your machine. 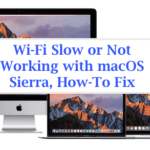 In this article we will explore some of the common macOS Sierra problems and provide suggestions to fix them. Update: 9/21/2016 – Please check Apple’s site here for the latest in macOS Sierra compatibility. Also Please Remember to do a backup using TimeMachine before installing macOS. 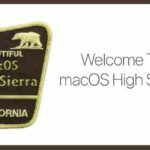 Here are some of the most common issues associated with experiencing macOS Sierra. Please check to see if you are using the application “Rapport” on your Mac. This seems to be causing issues after the latest macOS Sierra upgrade. You will need to follow the instructions from the vendor to uninstall this application and then restart your Mac in order to get your Safari working. Proxies Issue. There appears to be a known issue with proxies that is causing Safari problems. Go to your System Preferences > Network > Advanced > Proxies tab. Make sure that you don’t have any check boxes clicked under “Select Protocol”. If you have any boxes checked here, you will need to uncheck them and click “Apply”. Once done restart your Macbook. This is a common problem with new installs, primarily on old machines. You are able to install macOS Sierra but your machine shows a grey/white screen when you try to start it up. Please follow the Steps below in order to resolve the issue. Try to boot Mac in Safe Mode (Press the power button and hold down the shift key) and make sure you Mac has at least 9 GB of free space. Please check our Step-by-Step video to fix the Mac white screen issue. If you are using dual monitors and Duet Display, it might be causing the startup issue. This was one of the main issues with macOS Sierra Beta versions and app compatibility. Once you have removed the Duetdisplay related kext files, try rebooting your mac and you should start up. Some users have found that common Safari extensions such as 1 password and ad-blocking software were not working correctly following the macOS install. If you are facing this issue, you may have to re-install your Safari Extensions one by one. If you are experiencing other Safari related issues post macOS update, please check our detailed Safari Troubleshooting guide for dealing with post upgrade issues. This is probably one of the most desirable features in macOS Sierra for many users. We have not seen any major issues with using the Siri functionality on Mac. If you are unable to get Siri working on your Mac, you may need to re-check some of the key settings as shown below. The obvious is to check your internet setting on your Mac and make sure that you have the connection. This is especially true for people that used Enhanced Dictation feature on their Macs in the past which did not require an internet connection. 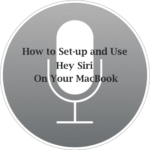 Make Sure your System Preferences are set up properly for Siri. Click on  > System Preferences > Siri. Check to see that “Enable Siri” check has been enabled. When I tried this in the beginning, I had a wrong mic setting since I was external headset and it was causing issues with Siri. Please make sure that your Mic input to set to Internal Microphone. Check the designated Keyboard Shortcut and confirm that you are using the same to invoke Siri. 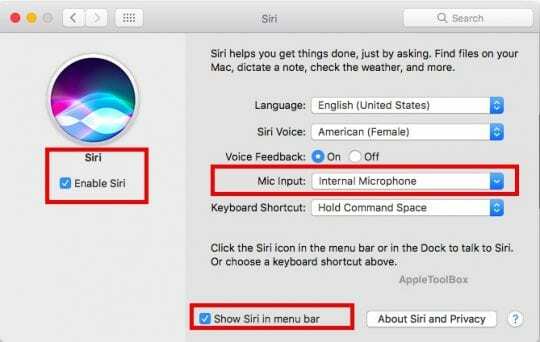 If you are having issues with the short-cut, simply enable Show Siri in menu bar and click on the Siri icon on the menu bar to check if it works for you. One of the options added in macOS Sierra is the ability to pin your Siri search results into your Notification center. In the top right of the Siri Search results, you will find the ‘+’ icon. Clicking this will make the search result to be added into you Today’s view in the Notification Center and the results update dynamically. You can choose to include file searches, Sports Updates, Weather, Tweets and Web Searches from Siri results into your notifications. This was an issue that we noted during our early trials with macOS Sierra. If you were running Parallels on macOS Sierra, the space key didn’t work in the virtual machine. The company had posted a workaround solution for this a while back and you can check out the details of this solution by visiting the page. If you see that your finder app doesn’t respond or appears to be frozen after the macOS upgrade, try to do a SMC reset and that should fix this annoying issue. We found this problem with an older MacBook. On the newer models, we have not encountered this issue so far. Along the app lines, if you are having issues with a blank app store screen, following the update, it can be easily resolved by following the step-by-step of moving some of the App Store files on your Macbook/iMac as explained in this article. Several people have complained that their e-mail service is very slow following an upgrade to macOS. If you are facing this issue, one option would be to try re-building the mail index. In order to rebuild the index, select a mailbox in the mail sidebar and then choose Mailbox > Rebuild. Depending upon your mailbox size this operation can take some time. You e-mail experience should be much faster after the rebuild. 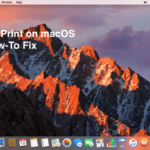 Many users found that they could not connect their Macbook/iMacs to their printers and print after the update to macOS Sierra. If you are experiencing this issue, we have provided some tips to resolve this issue. These tips will be helpful in resolving the printing issue but may or may not be able to resolve scanning issues. If your laptop shipped with El Capitan from Apple, hold CMD + ALT/Option + R on startup to boot into Internet Recovery. It will download & reinstall the original OS that came with your Mac. If you have an older Mac that didn’t ship with El Capitan, you’ll need to download an El Cap image and reinstall from that. Reboot your MBP into Internet Recovery (cmd + option +R) and you should now be able to install your original version of OS X. We will keep this post updated as we move forward and get more of your questions and comments. Please let us know if there are other issues that are occurring with your macOS Sierra experience. After upgrading to High Sierra 10.13.1 on a MacBook Pro (Retina, 13-inch, Mid 2014), Safari has stopped showing graphic buttons etc, just getting the small Blue Square of Questions, I’ve followed guidance regarding clearing out Cache’s etc in the Libraries, and rebooting but to no avail, and also ensuring no checkboxes ticked in the network proxies as per other guidance – but to no avail. Help please? You would think for a multi hundred billion dollar a year corporation that they would adequately test anything and everything before putting it out to the masses. Rather instead they are just always trying to hurry up and put the next great thing out first. And yet every apple product I have ever owned has cost me a lot of money and time trying to fix a brand new product! Sad and laughable that people still support a monopolizing company who sales people crappy products at best..
That’s fantastic! It seems the update to Sierra 10.12.3 reverted those settings to default. This normally doesn’t occur–it remembers your setting. But for some reason, this time it did not! But it’s working and an easy fix. So that’s a celebration. Enjoy macOS Sierra. After installing macOs Sierra 10.12.3, I can’t manually control the icons on my macbook pro retina 13″. What’s happening? How can I go back to manually arrange my icons as I want, not as the auto-arrange wants. Please help. Try this tip. Go to your desktop and go to Finder > View > Sort By > and choose None. Hope that works for you and your macbook. I think I’ve seen the problem. My photos from the previous two days are still uploading to the cloud. The ones already uploaded are available in RAW so all is OK. Thanks for your help. Most appreciated. Has anyone any idea how to edit photos in RAW? Since upgrading to Siera the option is greyed out. Maz, Check out Apple;s guidance for macOS. 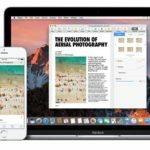 https://support.apple.com/en-us/HT204977 You could also try some of the third party utilities out there to help you process the RAW files. We will test it out and see if we run into any issues and update the post accordingly. Since I upgraded to Sierra My mouse has been jerky, computer has been slow, Second display is blank even though it says it’s working, Several Apps not work properly. I’m so frustrated! I am facing problems in accessing any drive from my bootcamp after upgrading my machine to Siri. I lost my connection to 2015 Canon printer. On my MacBook Air, my Siri keeps telling me that it has problems with the connection. What does it mean? How do I fix this? I downloaded macOS yesterday and am desperately trying to find answers to fix the problem. Search for mail isn’t working! I also appear to have lost a load of mails from the days before I upgraded. G, Appeas to be related to me indexing issue. Close the MailData window, then relaunch Mail app to force reindexing. 4. Righ click on mailbox and choose re-indexing. 4. Once the indexing is over try out your mail search. Pretty much destroyed all the Canon tools for RAW picture editing. Totally dead in the water with pictures being post processed. With $15K in camera equipment! Thanks, Apple – only your Photo program works – it doesn’t have spherical aberration correction for prime lenses, nor does it have sharpness and exposure value tools that are highly specific to Canon! My Mid-2011 Mac has decided it no longer wants to do Airplay to my Apple TV (2nd Gen). At the same time the apple TV has decided it doesn’t like the HDMI cable (in fact it likes none of the HDMI cables we have in the house – says its not HDCP compatible, so I can’t stream my movies from Apple or watch Netflix on it. Way to go Apple. Seriously revisiting my decision to upgrade phone to iPhone 7+ at Christmas. My screen is going crazy with rainbow colors as soon as I type in my password. It’s impossible to do anything. Does someone have a fix for this? I tried the Shift+Control+Option and power restart, but it’s still not working. I need to use VPN and that is not supported now (not what I need anyway) if i down grade will i lose my programs, music? Having trouble in Chrome with mouse clicks responding after Sierra. (e.g. – go to a website and click on an arrow to change months in a calendar for reservations) and no response. Just no response at all to anything on website. Works fine other areas but am being forced to use Safari – which I hate! Any suggestions? Thanks…. That comment had too many spelling mistakes! Installing Sierra on IMac with El Capitan. At end of process, message that install failed as file verify not possible. Asked to restart and try again – no luck. Tried a safe start, just crashed. Tried to reset pram. Got to Mac OS diagnostics and selected reinstall Sierra. Crashed…..now what? 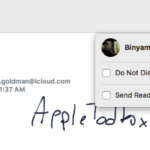 I can’t access mail through the mac icon. Both Siri and Spotlight could work when pressing CMD+Space. Just be sure you release space sooner than CMD! Can’t get Mac mail. Every time I click on the icon the computer closes down and I’m faced with having to sign in again. Pan, Check if any installed kext files ( music related programs) might be causing the issue. Otherwise I would enable and disable the Siri checkbox a couple of times and try. 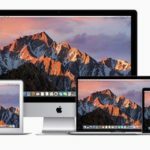 MacBook Pro 2012 miniDisplayPort / DispalyPort EIZOEV2736W – after the installation of MacOS Sierra does not work work on the secondary monitor. I did reset NVRAM and reset the System Management Controller (SMC) and still do not see the link monitor displayport. How do I connect the link DVI, this is the picture on the second monitor, but with synchronization fV 30 Hz. I need to connect the DisplayPort port. Can anyone help? Tim, Thank You for the update. Time machine stuck on preparing backup after upgrade to Sierra on the different Macs even after adding AFP address to time capsule. Good catch, it was Duet that was tripping me up. It gave me the white screen. Thanks. what i noticed on my macbook pro retina 13 early 2015 is a glitching thing whenever i restart it and goes into my main macOS sierra partition. this does not happen on my bootcamp with windows 10.1. Thanks for the feedback Kami. I haven’t tested it with bootcamp. Hopefully others may have a better idea around it. We will update the post if we find anything on the issue.